Questions? Please contact the NYU IT Service Desk. When your accounts have been compromised by a hacker, quick identification and response can greatly reduce any harm done. Your friends – You learn that your friends have received a phishing email from one or more of your accounts. Your phone – You notice charges for premium SMS numbers on your bill. Collection companies contact you re: nonpayment. Your browser(s) – Some/all of your online passwords are not working. You notice unwanted browser toolbars, homepages and unexpected plugins. Additionally, you see a lot of pop-ups or web page re-directs (which refers visiting a web page with a certain URL and noticing that you are instantly directed to another webpage with a different URL). Your software – New accounts appear on your device. Antivirus messages report that a virus has not been cleaned or a fake message from antivirus software that you have not installed appears. Programs randomly crash or programs you did not install are running and requesting elevated privileges. Your bank – You notice unauthorized charges or receive a message about insufficient funds due to unauthorized charges. Your mail – You receive notification from a company alerting you that it has recently been the victim of a cybersecurity breach. Update, update, update! Why update/patch? You may feel inclined not to take a few minutes to periodically update if your device appears to be working well, but when you don’t update, you leave the door open to a possible malware attack as hackers seek to exploit the vulnerabilities/flaws in prior versions of systems and applications. Be prepared with backups. Have a backup plan in place, which includes scheduled and frequent system back-ups. Consider two separate back-ups: one to cloud storage and the other to an external drive. Backups protect you from data compromise and are the best way to recover from a Ransomware infection. 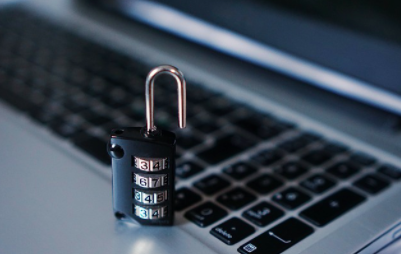 Please see the following Connect article for more information: Ransomware Scams. Check the have I been pwned website to see if your accounts have been hacked in a known attack. For tips on protecting your kids online, watch this 4 minute and 37 second video from SANS. This video will be available throughout the month of July. A vulnerability in CISCO WebEx browser extensions for Google Chrome and Mozilla Firefox has been identified. Specifically, the vulnerability affects browser extensions for: Cisco WebEx Meetings Server, Cisco WebEx Centers (Meeting Center, Event Center, Training Center, and Support Center), and Cisco WebEx meetings when running on MS Windows. There are no workarounds which address this vulnerability. The vulnerability, which is due to a design defect in the extension, could allow an attacker to execute arbitrary code with the privileges of an affected browser. In other words, this vulnerability could expose users to malware risk. Click the menu button (three dots at the upper right of the application) and choose, More Tools, Extensions. The extension version is listed next to the Cisco WebEx extension name. Locate Cisco Webex Extension in the list of extensions and click the More link to obtain version information.